When I came back from Basel, I realized that our imminent summer exhibition was not going to come together as planned. So, in a three day brainstorm accompanied by a tremendous amount of good luck, true generosity and enthusiasm on the part of artist's, their galleries, lenders and museums, I put together a show so wonderful and significant that it warranted changing our entire year schedule in order to make sure that we could extend it into September. Walking into our cavernous space the gallery at first appears almost empty. 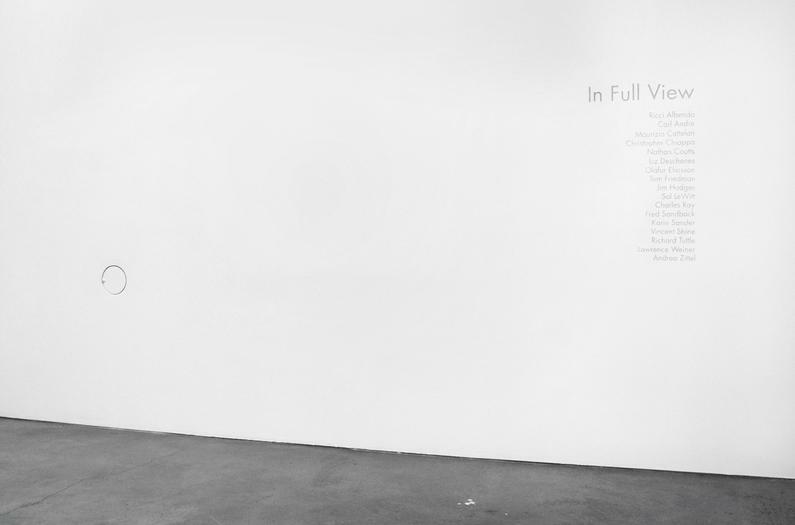 One soon realizes that there are a host of great works, "In Full View", as the title of the show explains. 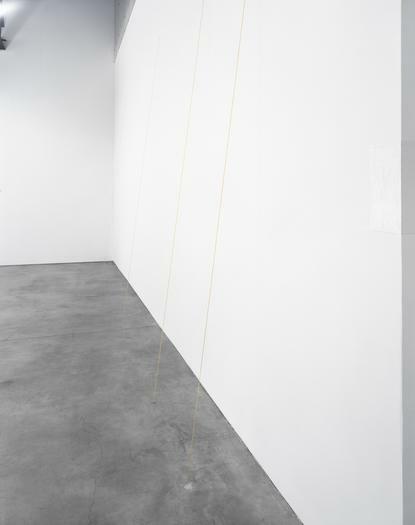 One entire wall carries a new Sol LeWitt light pencil drawing, another is transformed by a Fred Sandback piece in ochre-colored thread, on a third is a delicate wire work by Richard Tuttle, while on the floor is Carl Andre's only sculpture in glass. 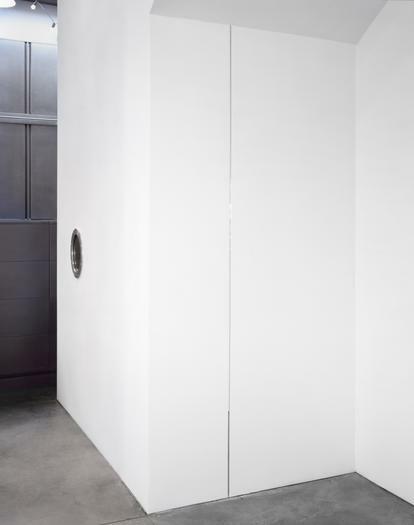 Charles Ray's spinning disc punctuates the wall, while Ricci Albenda's strange forms bulge out of and into it. There are other pieces to discover throughout every corner and angle of the gallery: Maurizio Cattelan's pigeons perched in the beams, Lawrence Weiner's text gleaming in matte silver under the roofline (another piece made especially for this show), Jim Hodges' silver spider-web under the angle of the staircase, and other surprises by Olafur Eliasson, Andrea Zittel, Karin Sander, Tom Friedman and several younger or lesser known artists. 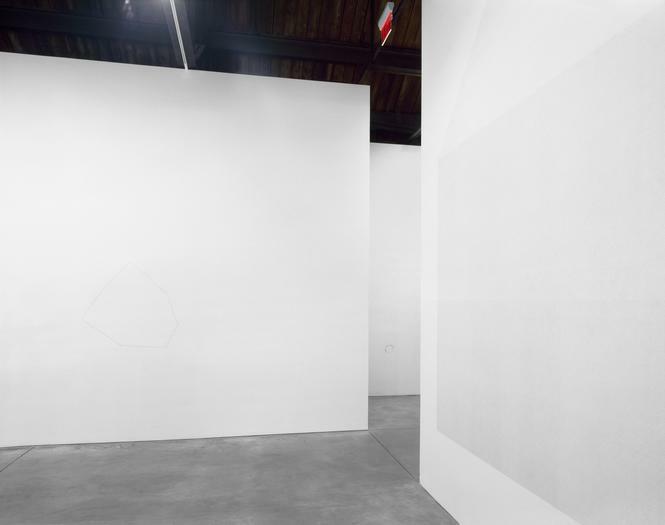 One might imagine that an exhibition that is barely visible would be purely ethereal. Yet this show is really about the power of physicality. 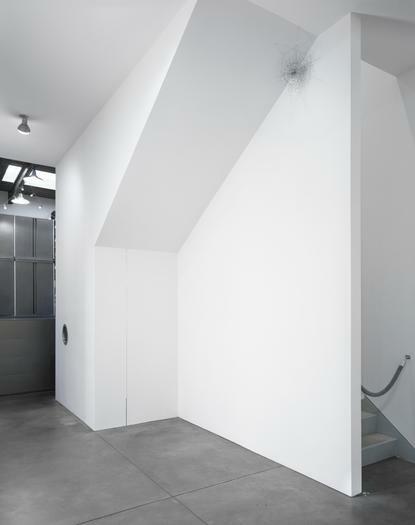 Each work holds so much weight and presence that it was necessary to extend the exhibition into each crevice and surface of the gallery in order to allow for the works to function fully, each with their own autonomy. 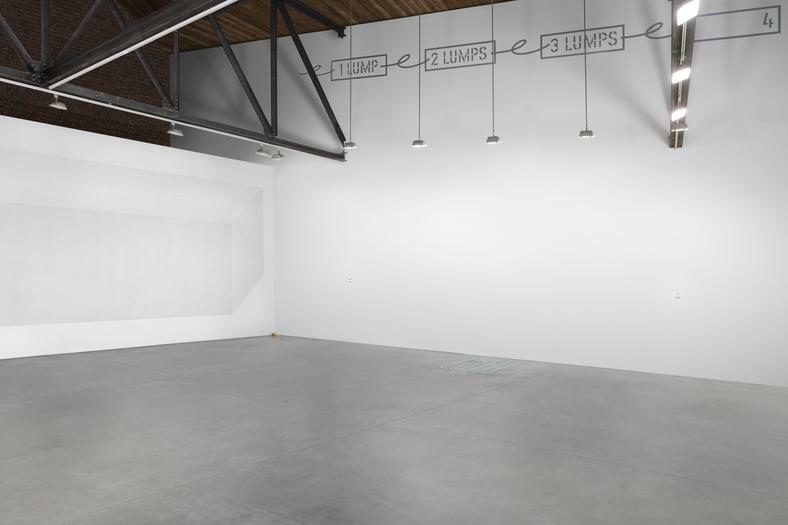 The show intertwines the conceptual rigor of minimalism, clearly including many of the most significant artists of the movement, with works relating to illusion and conceptual current works. Although there is no big heavy object and much of the work is wall bound this show for me epitomized the significance of sculpture and sculptural space. As we realized we were assembling a museum quality exhibition we almost regretted having it fill such a quiet slot in the program even though we always take the summer very seriously. In fact we have decided that the show should stay up until September 13, so that it can reach a larger audience.